If you’re lucky enough to have your Dad or Grandad around, then I guess you’ve been celebrating Father’s Day and probably got them a gift or a treat of some kind? So what did you get them. Chocolates? Wine? Beer? or something else that you knew they would enjoy? Well, perhaps today is a good day to start thinking ahead for next year? 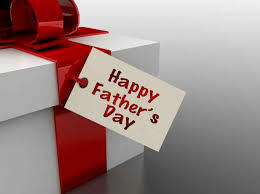 But I already know what the coolest gift is that you could give your Dad and not have to wait till next year! Want to know what it is? Well its simply encouragement to get more active and fit and therefore avoid preventable illnesses and diseases. Women are very well catered for when it comes to options for doing healthy stuff especially where it also involves a ‘social’ element eg fitness classes like ours, aqua aerobics, Race for Life events to name but a few. Whereas Men can be a little more reluctant to take part in group activities so would rather go to the gym – but here’s the issue – so many of our menfolk simply don’t bother or start with great intentions, but then don’t carry on! We are lucky enough to have male members in most of our evening classes and they, as far as I’m aware, really don’t mind that the ratio of ladies to men is very lop sided! But, we want to encourage more men! Not just to come to our classes, but to be more active and increase their levels of activity generally! Therefore, our message is: Why wait for another year to pass by when you could have a really positive influence on your husband, Dad even Grandad right now? 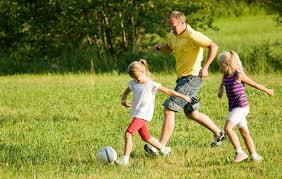 Suggest family days out where you all get active together. 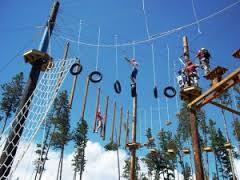 There are so many new attractions here in North Wales for instance, underground trampolining, Zip wires, High Trees Rope and Assault courses – the list is endless. But most of all choose something that’s fun to do. 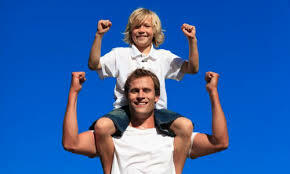 Also, outdoor fitness such as cycling, football, and running allows fathers to share meaningful one-on-one time with their children away from the rest of the family whilst getting a great cardiovascular workout. This strengthens the heart and lungs, boosts metabolism, burns calories, reduces stress, increases energy, promote restful sleep and more. Sounds good doesn’t it! So, while you’re forgiven for this year especially if you gave them chocolates, why not start the conversation and see how they feel about making this next year the one that gets them back into shape. You never know, they might actually thank you for it!